Depending on forging size and manufacturer, DIN 15400 series hooks are forged using closed die, open die, or hybrid processes, producing the corresponding as-forged toleranances. See Specs for hook forging dimensional tolerances. 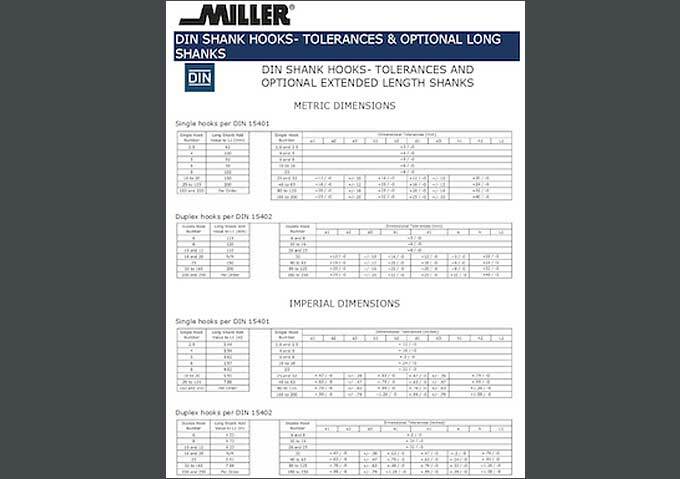 Extended shank lengths up to defined limits are available in stock from Miller (extended beyond the DIN-defined standard shank length). See Specs. Extensions beyond this can be made to order.